The self-described “serial entrepreneur” owns four profitable, distinct businesses with plans to launch a fifth in the near future. Successful entrepreneurs usually have their hands full running one business, but Kalika Yap isn’t like other business owners. The self-described “serial entrepreneur” owns four profitable, distinct businesses with plans to launch a fifth in the near future. In 1999, Yap started her first business, Citrus Studios, Inc., a branding and digital agency that provides a wide array of services, from logo design, website development and content marketing to social media management. The Santa Monica-based firm and its 21 employees serve blue-chip clients including Hulu, Annenberg Foundation, Sephora, Dollar Shave Club, Sony, USC, UCLA, Stanford University and The Getty Center. In 2005, she invented Luxe Link, a fashion accessory that keeps handbags off the floor and is sold online and in thousands of stores around the world. Yap, who holds patents in China, Hong Kong, Japan and Canada, has licensing deals with Cole Haan, Michael Kors and others. Four years later, she launched The Waxing Company, the first high-end waxing salon in Honolulu. Last year, Yap founded Orange & Bergamot, which provides similar services as Citrus, but aimed at women-owned firms with smaller budgets. She plans to launch a brother company, Bergamot Brands, targeted at men business owners. 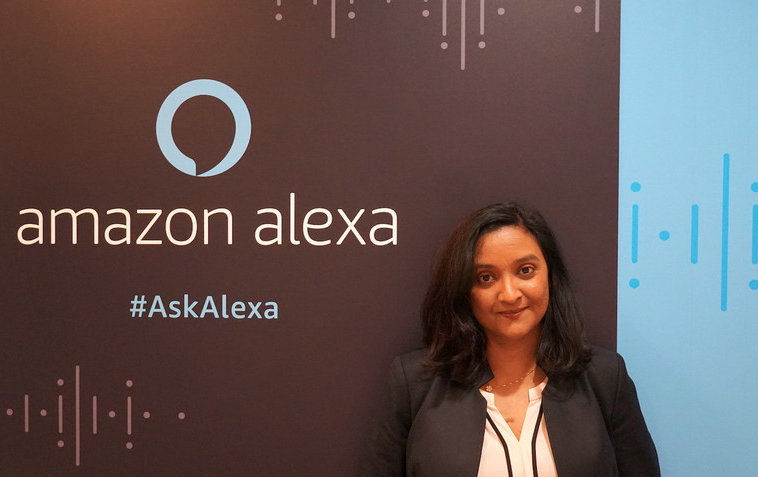 “I want to create companies that elevate business owners and help them succeed,” says Yap, who learned how to code in the 1990s before the technology boom. She honed her digital technology skills while working at the Getty, and after she left her job to start Citrus, the Getty became her first client. “I did several projects for them, and as people left for other jobs at Norton Simon, USC and Huntington Library, they’d recommend me for other work. When you do good work, word gets around,” she adds. Like most business owners starting out, she wasn’t selective about Citrus’ clients—taking any project that came her way. Then, she realized the importance of making sure her clients’ values aligned with hers. Yap created the company’s core values, which include: Communicate kindly, Have heart, be All in, be Remarkable and Make lemonade out of lemons, or CHARM. “When I work with a potential client or employee, I share my values and make sure we’re aligned,” she adds. In addition to attending council events, including Minority Business Opportunity Day and the Leadership Excellence Awards gala, Yap was a featured speaker at CEO Academy, SCMSDC’s leadership program for MBEs, where she helped participants reveal their brand’s core essence and convey their brand to better connect with audiences. Yap has received many awards, including the National Association of Women Business Owner’s Rising Star award, Deborah Awards by the ADL and Asian Business Association’s Technology Firm of the Year. She is also the first woman and minority to serve as president of the Entrepreneurs Organization Los Angeles, a global, peer-to-peer network of influential business owners with 173 chapters. Her advice to minority entrepreneurs? Karlie Kloss has a super hectic schedule these days. The supermodel, 26, is currently promoting her latest gig as the new Project Runway host (the season premiere of which aired Thursday on Bravo) and gearing up to host one of the coolest summer camps for girls through her nonprofit, Kode With Klossy. Kloss launched Kode With Klossy back in 2015 as a way to empower and inspire young women to become involved in tech. Throughout the year, the nonprofit hosts learning experiences to help girls pursue their passion — and one of the most well-known programs is the annual Kode With Klossy Summer Camp. The organization hosts free two-week summer coding camps across the country annually for young women ages 13 to 18, to teach the fundamentals of programming and web development. The 2019 applications are officially open — and Kloss is running around the city (literally) to spread the word. Kloss took to the streets of New York City to let everyone know about the opportunity, even making her own “Ask Karlie” booth to attract interested applicants. She also spoke with PEOPLE to and tells them even more about the program and answer all their coding camp questions. Find out what makes an application stick out from the rest, how she chooses applicants and whether you’ll see her in one of the Kode With Klossy sessions this summer! Continue on to People to read the complete article. Energy efficiency added more new jobs than any other industry in the entire U.S. energy sector in 2017 and now employs nearly 2.25 million Americans, according to a new jobs analysis from E4TheFuture and the national, nonpartisan business group E2 (Environmental Entrepreneurs). The new report, Energy Efficiency Jobs in America 2018, finds energy efficiency workers now outnumber elementary and middle school teachers and are nearly double the number of Americans who work in law enforcement. The report highlights energy efficiency’s growing economic importance. Efficiency added 67,000 new jobs in 2017, making it the fastest-growing job category in the energy sector. 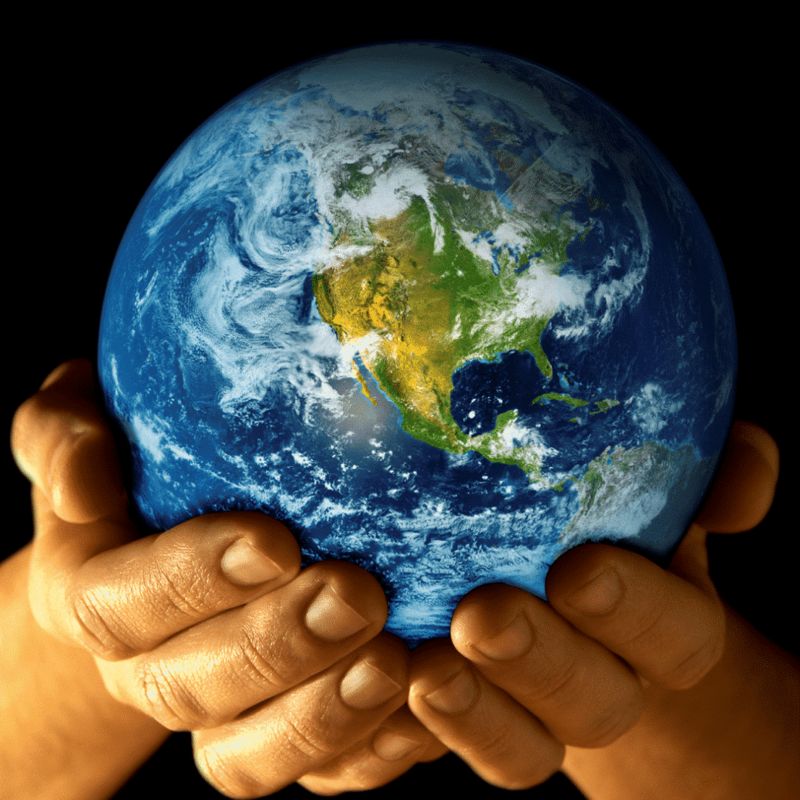 Energy efficiency employs twice as many workers as all fossil fuel industries combined. Efficiency workers now account for 35 percent of all U.S. energy jobs. Among the states, California leads energy-efficiency employment with 310,000 jobs, followed by Texas (154,000), New York (117,000), Florida (112,000), and Illinois (87,000). Seventeen states now employ more than 50,000 workers and the 25 states with the most energy efficiency sector jobs all now employ more than 30,000 workers (1.9 million total). Only four states saw a decline in energy efficiency employment in 2017. With workers in 99.7 percent of U.S. counties, energy efficiency has become a nationwide job engine integral to state and local economic growth. More than 300,000 energy efficiency jobs are located in America’s rural areas, and 900,000 jobs are found in the nation’s top 25 metro areas. One out of every six U.S. construction workers are involved in energy efficiency, as are more than 315,000 manufacturing jobs, according to the report. More detailed breakdowns of energy efficiency jobs for all 50 states and the District of Columbia—including job totals for every state’s congressional and legislative district and maps of each state’s top counties—can be found at e2.org/eejobsamerica. · Small businesses are driving America’s energy efficiency job boom, with 79 percent of energy efficiency businesses employing fewer than 20 workers. Facebook has acquired GrokStyle, a shopping startup that uses AI to help you buy furniture and other items for the home. The move, which was reported by Bloomberg, is the latest sign yet that the social network is looking to push deeper into e-commerce in 2019. GrokStyle, which was founded in 2016 according to CrunchBase, is a San Francisco startup specializing in visual search. The company is known for technology that allows shoppers to search for furniture and other items by taking photos with their phones. Last year, the company partnered with Ikea on its augmented reality furniture app. It’s not clear exactly what team within Facebook GrokStyle and its “AI capabilities” will be a part of. 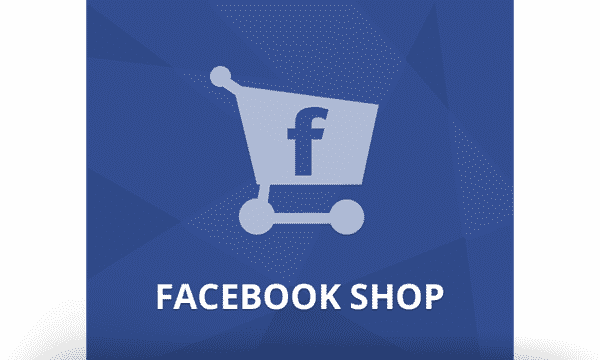 But it’s another potential sign that Facebook plans to move deeper into shopping features. The company has been steadily adding shopping features to Instagram, but hasn’t said much about similar shopping experiences in other places. Continue on to Mashable to read the complete article. The Siemens Foundation is advancing its mission to narrow the opportunity gap for young people in the United States in STEM careers by launching a new workforce training program to fill skilled positions in the intelligent buildings industry in collaboration with Siemens Building Technologies and the Association of Controls Professionals (ACP). Together, the organizations will create community college training programs and develop career pathways into local K-12 systems, both aligned to new, non-proprietary industry certifications under development by ACP. This innovative program will focus on reaching traditionally underserved or underrepresented student communities and providing them the opportunity to excel in a software-driven field. The Foundation will invest more than $1.6 million in the workforce training program over a three-year period, with the first iteration expected to launch in DeKalb County in metro Atlanta in late spring. The intelligent buildings workforce training program is a part of the Siemens Foundation’s new SPARKS (STEM Partnerships to Advance Real-World Knowledge and Skills) Initiative, an effort to stand-up focused and employer-informed STEM training programs across industries like smart infrastructure, healthcare, and advanced manufacturing. The Foundation will work in tandem with Siemens core businesses to develop targeted programming that addresses specific workforce development needs across their industry. Though each program will be unique, all share common goals under the broader SPARKS Initiative to provide economic opportunity for America’s next generation of workers and grow talent for relevant industries. Since its inception, the Siemens Foundation’s mission has been to ignite and sustain today’s STEM workforce and tomorrow’s scientists and engineers. 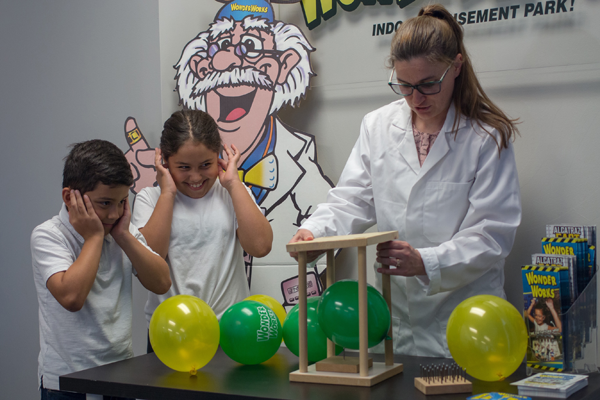 The Foundation has invested more than $115 million in the United States to advance workforce development and education initiatives in science, technology, engineering, and math. Its mission is inspired by the culture of innovation, research and continuous learning that is the hallmark of Siemens’ companies. Together, the programs at the Siemens Foundation are narrowing the opportunity gap for young people in the United States in STEM careers. Recently, the Foundation took a closer look at the widening U.S. income gap and shifts in workforce demographics and determined it could better address the education and economic challenges facing young adults by leveraging Siemens own business expertise and the Foundation’s experience in building and implementing youth STEM initiatives. This focus led to the Foundation’s launch of the STEM Middle-Skill Initiative in 2015, its inaugural investment in workforce development. 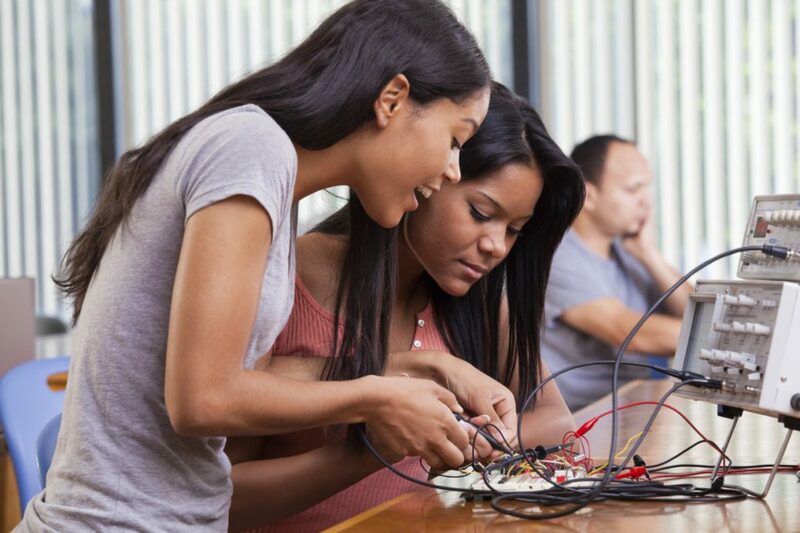 Through the STEM Middle-Skill Initiative, the Siemens Foundation has created an ecosystem of national partners, government leaders, and educational stakeholders to further its workforce development mission including the National Governors Association, The Aspen Institute, Advance CTE, New America, among others. These partnerships have resulted in expanded work-based learning opportunities, including new registered apprenticeship programs, the first national conference on apprenticeship, growing excellent community college STEM programs, and building a new generation of CTE students. For further information on the Siemens Foundation, please visit https://www.siemens-foundation.org/programs/stem-middle-skill-initiative/. 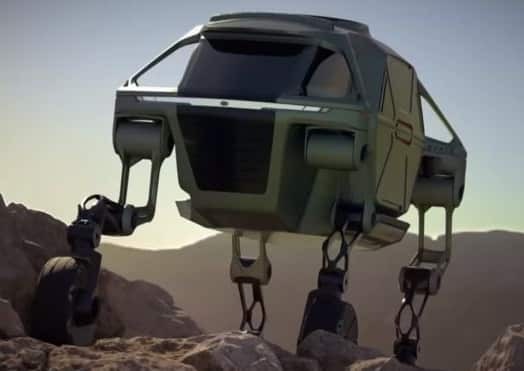 Hyundai has shown off a small model of a car it says can activate robotic legs to walk at 3mph (5km/h) over rough terrain and also able to climb a 5ft (1.5m) wall and jump a 5ft gap. The Hyundai Elevate could be useful for emergency rescues following natural disasters, Hyundai said. It was part of a project exploring “beyond the range of wheels”, it added. The concept has been in development for three years and was unveiled at the CES technology fair in Las Vegas. “When a tsunami or earthquake hits, current rescue vehicles can only deliver first responders to the edge of the debris field. They have to go the rest of the way by foot,” said Hyundai vice-president John Suh. Mr. Suh also suggested that wheelchair users could be collected via the vehicles, which could “walk” up to the front door of a building with step-only access. Prof David Bailey, from Aston Business School, said: “Often car companies bring out lots of concepts which may or may not make it into production but it’s great to think in new ways about mobility. “For most of us, it’s going to be wheels and roads but in extreme situations there may be scope for this sort of thing. Continue on to BBCnews.com to read the complete article. The first female African-American astronaut in space was not cured of curiosity when she whirled about the cosmos as part of NASA’s STS-47 in 1992. Her vision sharpened, like a kid who takes her first plane flight. Wondrous, yes, but still a hint. Jemison is in demand, but she manages telescopic vision when it comes to her current project: 100 Year Starship. The goal? Human travel to another solar system in the next 100 years. 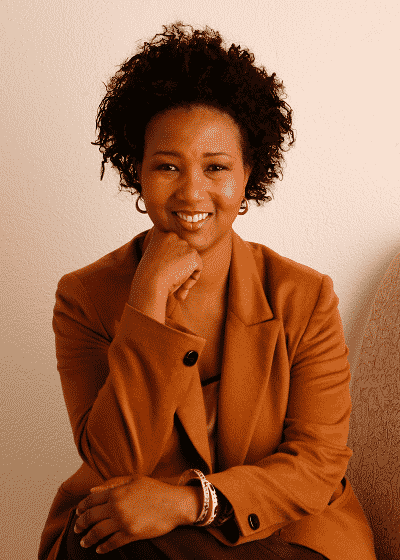 “Creating an extraordinary tomorrow actually creates a better world today,” Jemison said. 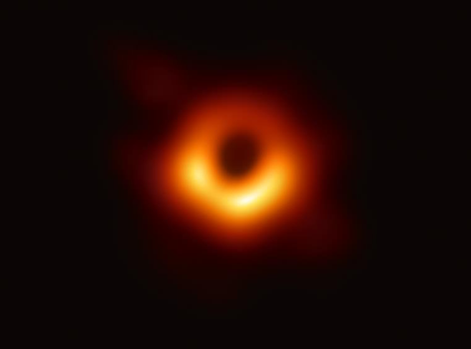 Jemison, the principal and leader of the 100 Year Starship program, stated on the organization’s website (100yearss.org): “When we explore space, we garner the greatest benefits here at home. 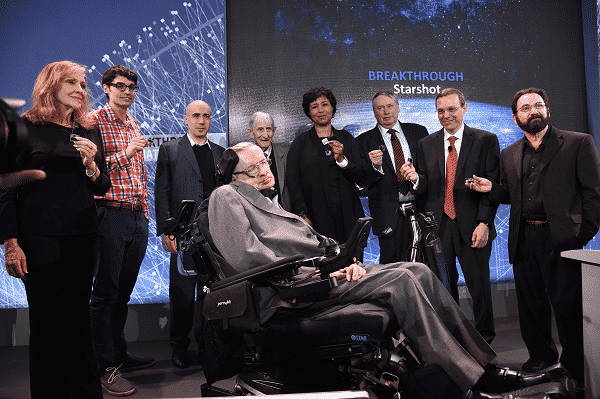 The challenge of traveling to another star system could generate transformative activities, knowledge, and technologies that would dramatically benefit every nation on Earth in the near term and years to come. Jemison was the science mission specialist on STS-47 Spacelab. STS-47 was a cooperative mission between the United States and Japan. The eight-day mission was accomplished in 127 orbits of the Earth, and included 44 Japanese and U.S. life science and materials processing experiments. She was a co-investigator on the bone cell research experiment that traveled with the mission. In completing her first space flight, Jemison logged more than 190 hours in space. She’d been starstruck all her life; that didn’t change. “I imagined myself on another star, and I was connected to that star because I’m part of the universe,” she said. The astronaut who went on to be inducted into the National Women’s Hall of Fame, the National Medical Association Hall of Fame, and the Texas Science Hall of Fame, started off gazing at the night sky as a girl in Chicago and watching the Gemini and Apollo flights on TV. She said there’s a difference between role models and inspiration. She’s had many role models, including cats (“They’re so confident; they don’t take nonsense”), but inspiration is another matter. “Life inspired me,” she said. Jemison, a lover of the arts who dove deeply into dancing, has a background in engineering and medical research. She has worked in the areas of computer programming, printed wiring board materials, nuclear magnetic resonance spectroscopy, computer magnetic disc production, and reproductive biology. She completed her internship at Los Angeles County/USC Medical Center in June 1982 and worked as a general practitioner with INA/Ross Loos Medical Group in Los Angeles until December of that year. From January 1983 through June 1985, Jemison was the Area Peace Corps Medical Officer for Sierra Leone and Liberia in West Africa. 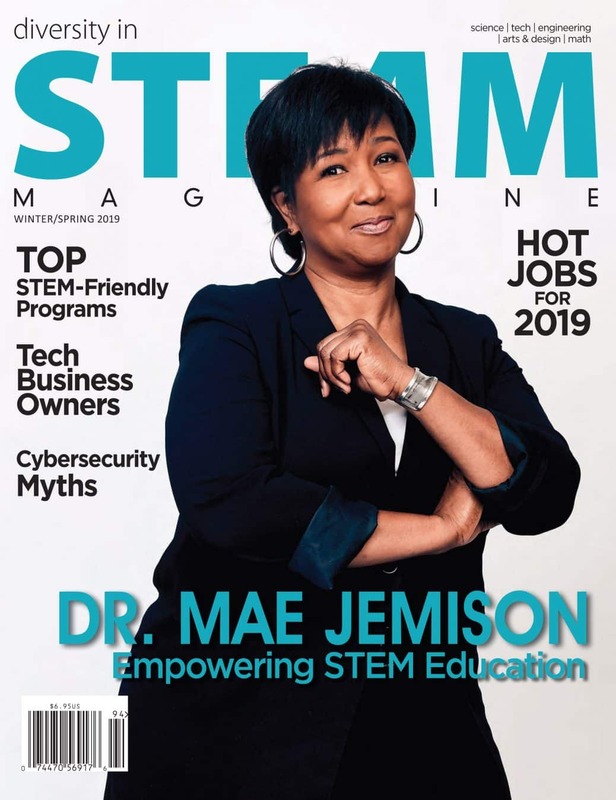 On return to the United States, Jemison joined CIGNA Health Plans of California in 1985 and was working as a general practitioner and taking graduate engineering classes in Los Angeles when she was chosen for the astronaut program in 1987. She worked on the Kennedy Space Center in Florida, the Shuttle Avionics Integration Laboratory and the Science Support Group activities. Jemison appeared in a speaking role on Star Trek: The Next Generation as Lieutenant Palmer, an officer serving aboard the U.S.S. Enterprise NCC-1701-D in 2369. 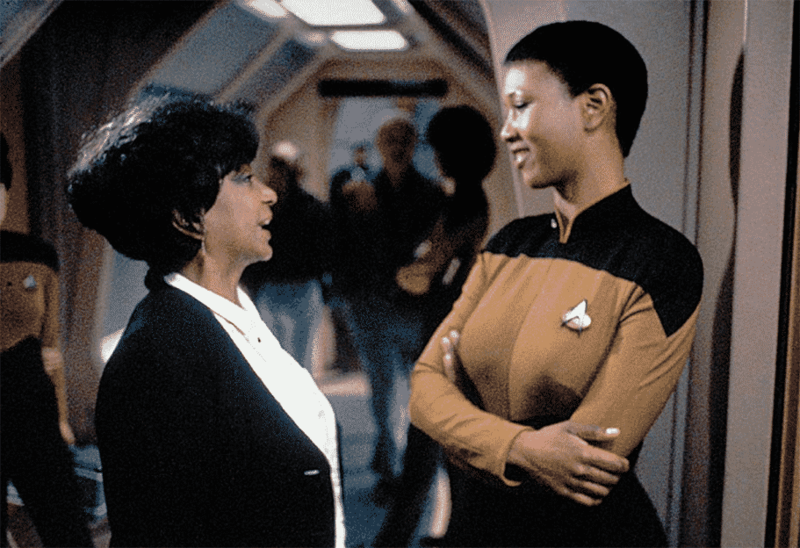 Seen here speaking to Nichelle Nichols, who played communications officer Nyota Uhura in the original Star Trek series and movies. 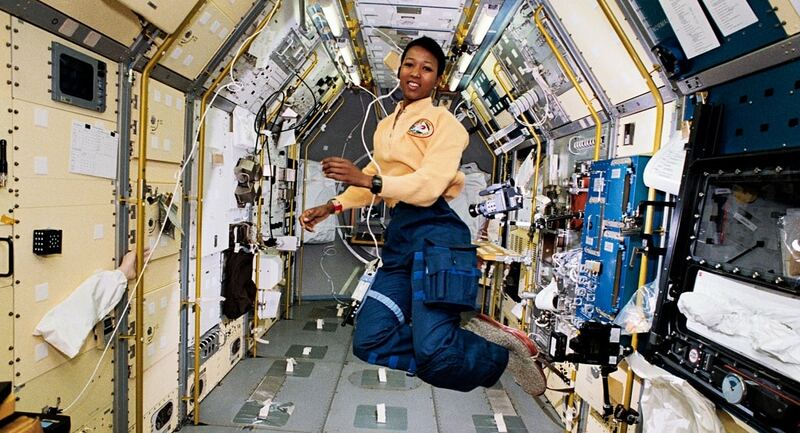 Today, if you visit the Intrepid Sea, Air, and Space Museum in New York City, Jemison will speak directly to you about the contributions women have made to the space program, via a life-size hologram in the exhibit Defying Gravity: Women in Space. She narrates, discussing her career and those of other women involved in the space program while visitors wear Microsoft HoloLens mixed-reality headsets and walk around the exhibit. Holograms appear, helping to illustrate her points, including a life-size rendering of an spacewalking astronaut that appears to be tethered to the real-life Enterprise that hangs above the installation. Jemison’s story jumpstarted when, as a girl, she did a simple thing: she looked up. The story never really ends; the cosmos are infinite; you can never look too closely or far enough. All this is to say Jemison is still looking up, and she wants others—especially generations to come—to do the same. That’s why she coaxed a sea of people to do just that on September 28, 2018, as part of her Look Up project. 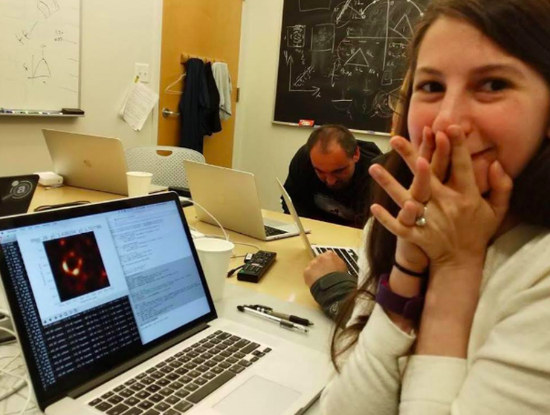 “We want to chronicle what happens when you look up at the sky,” she said. “What do you hope, dream, think, fear, wish, plan, love?” Stories of those voyages were posted to the digital world as poems, songs, photos and art. That day and in the days after, Americans, Africans, French, Japanese, girls, boys, old, young and you-name-them connected in strange and soothing ways. “What’s above us, unites us,” Jemison said.